It can be complicated and risky to sponsor an employee retirement plan, requiring you to demonstrate adequate prudence in overseeing its investments and how you administer it on a daily basis. Sharing the fiduciary risk with a qualified partner is a smart way to go. Here’s what to consider. If your organization is undertaking the due diligence process of finding a new retirement plan advisor, you’re not alone. According to one investment firm’s annual survey of plan sponsors, 38 percent are looking for an advisor, the highest level since the report started. Among the concerns driving their searches? Managing fiduciary responsibilities and addressing the risk of litigation and liability. Further, the advisor’s willingness to take on a formal fiduciary role was critical to 60 percent of respondents. Whatever your reason for seeking a new retirement plan advisor, you need to ensure that your plan is being managed responsibly and according to its documented rules. Even if your plan is performing well, you still must be on guard against risks. Fundamental blocking and tackling requirements need to be met. Plus there are ongoing traps to avoid under Internal Revenue Service (IRS) and Department of Labor (DOL) rules. Having the right fiduciary advisory partner at your side can add to your protection. The implications of the Fiduciary’s role. 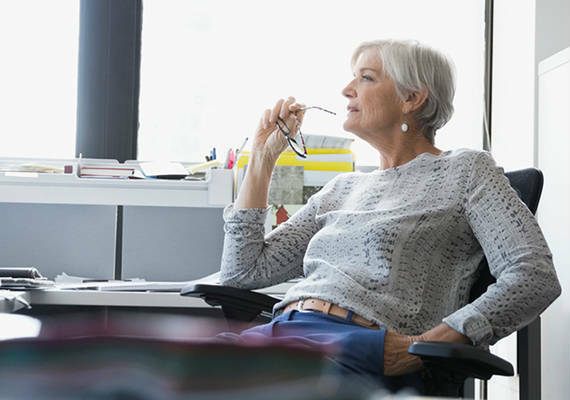 Each retirement plan has a named Plan Administrator, usually the company (and its owners, directors, and board members) or a committee. As Plan Administrator, the sponsoring company establishes what is defined in the plan. The Plan Administrator has discretionary control regarding the plan’s management as well as authority over the management or disposition of plan assets. Under ERISA (and in most states for non-ERISA plans), the Plan Administrator has four duties to consider in the operation of the plan. One is to operate the plan for the exclusive benefit of participants and beneficiaries while defraying reasonable expenses. The Plan Administrator and other fiduciaries have a duty of prudence in managing the plan with the participant’s best interests in mind. Prudent fiduciaries will consider if the assistance of professionals to assist them in carrying out these duties is required. In most cases, they will retain retirement plan advisors to serve alongside the Plan Administrator in carrying out these duties. A) As it relates to the investment selections, the advisor or consultant may serve in a 3(21) capacity in giving recommendations to the plan sponsor to then sign off on. In this case the plan sponsor has the final say with regard to the investment options and assumes the fiduciary risks. B) If the retirement plan advisor consultant operates in a 3(38) capacity, the advisor makes decisions pertaining to the investment options and assumes responsibility for those decisions. Importantly, the plan sponsor in this instance has the responsibility to make sure the 3(38) advisor is qualified and is fulfilling his or her duties. C) The third type of plan fiduciary relates to plan sponsor functions, such as making sure contributions are submitted in a timely fashion, that the document is being followed and the 5500 filed, etc. These fiduciary responsibilities are sometimes referred to as 3(16) duties. Since these responsibilities are administrative in nature, outsourcing of these duties is usually done through a record-keeper or third-party administrator (TPA). What to look for in terms of roles, processes, track records, fees and more. In addition to assessing what types of services meet your plan’s needs, a plan sponsor should make sure what fiduciary roles the candidates will actually assume. Generally, retirement plan advisors need specific experience and credentials in order to serve as an investment fiduciary, so for most advisors, being a fiduciary may not be within the scope of their employment. Plan sponsors should inspect prospective advisors’ processes, experience and expertise before making any decisions. Fee structures should also be reviewed and understood clearly. A person may become a fiduciary to a plan by performing fiduciary functions. In these cases, it is incumbent on the Plan Administrator to determine whether the functional fiduciary is indeed a fiduciary and should make appropriate adjustments to the scope of authority granted to such a person. For more information, visit Employee Retirement Plans on our website. HUB Retirement Services Specialists are Registered Representatives of and offer Securities and Advisory services through various Broker Dealers and Registered Investment Advisors, not affiliated with Hub International. Insurance services are offered though HUB International, an affiliate.